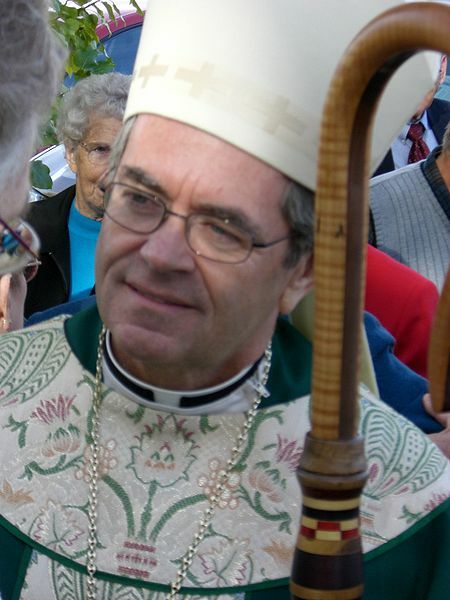 Disgraced Canadian Prelate Welcomed with Open Arms in the Archdiocese of Portland. An article in the Catholic Sentinel this week Bishop of Vatican II Speaks. No wonder Oregon Catholics are confused. With the welcome of Bishop Remi De Roo his lack of Truth to so many basic Church issues shows the disdain that the Archdiocese of Portland has for Rome and the Holy Father. Retired Canadian Bishop Remi De Roo is also a teacher of the Enneagram, a gnostic way of thinking, very heady. There is only one True Teacher we need..there are endless lessons to learn and we are still in Spiritual pre-school in this Archdiocese. Disgraced Canadian prelate recounts heated exchanges with two popes. VICTORIA, British Columbia, Nov. 8th, 2012 (LifeSiteNews.com) – The former Bishop of Victoria, Remi De Roo, has published a book of memoirs in which he relates two heated exchanges with Pope John Paul II and future-pope Cardinal Ratzinger over his divergences from Roman Catholic teaching. In Chronicles of a Vatican II Bishop, published in September by Novalis, De Roo recounts that he was called to Rome for a meeting with Cardinal Joseph Ratzinger (now Pope Benedict XVI) over his advocacy of the female priesthood in a 1986 talk in Washington, D.C.
We were enjoying an open discussion of all sorts of topics. I was determined that one of them would be the ordination of mature married men. I was sitting next to the Pope, at his right hand. He attacked his food with gusto, pausing occasionally to hold his fork and knife upright in his hands. At one point, I suggested that we might consider the pastoral problems caused by the shortage of priests, particularly in remote areas like the ones represented by most of the bishops who were present at that luncheon. He ignored my request by glancing to his left. The exchanges moved along; I waited for a second opportunity for a lull in the conversation. This time, speaking in French to make sure he would grasp every word, I carefully but directly faced him with the issue of our people being deprived of the Eucharist. Should we not call to ordination mature married men who could provide the spiritual nourishment that was so sorely lacking in areas deprived of clergy? He turned and glared at me, then banged deliberately on the table with his fist holding the knife handle. In a loud and emphatic tone of voice he declared, “Deus providebit!” (God will provide!). That was, sadly, the end of the exchange. Bishop De Roo’s memoirs include a foreword by Cardinal Jean-Claude Turcotte, who retired as head of the Archdiocese of Montreal in March after twenty-two years. 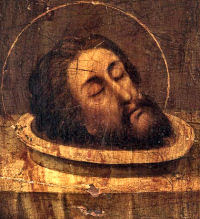 In his essay Tragedy at Winnipeg, Msgr. Vincent Foy relates that as the bishops prepared the disastrous Winnipeg Statement at the Fort Gary Hotel in September of 1968, it was Bishop De Roo above all who held out for the “right of freedom to follow conscience” in the contraceptive act, in contradiction to the pope’s reiteration of Catholic teaching that the act was intrinsically evil. The Winnipeg Statement was the Canadian Catholic bishops’ official response to the publication Humanae Vitae. He retired as Bishop of Victoria in 1999 after 37 years, but met disgrace a year later after it was revealed he had nearly bankrupted the diocese over failed investments in U.S. real estate, for which he had failed to obtain the requisite approval from the Vatican. This is the final #1 choice for our new Shepherd. All my sources are most trustworthy and I pray this is my last #1 choice. If anything, these good men are faithful to the Holy Father and anyone of them would be stellar. We are indeed fortunate, at least for the Holy Father knowing what we need. Bishop Jackels has NOT NOW in any way been announced IF this is our new Shepherd. The announcement for our new Archbishop should be emminent. This is my best pick NOW. Maybe THIRD TIME will be the charm. We would be blessed to have any one of these men as our Shepherd. It will not be long now for an official statement from the Archdiocese. God Bless us all in this Holy Season. We await our new Shepherd and Our Savior. Here is a letter from Bill Diss of Precious Children of Portland who has some interesting developments he has allowed me to share with you. Planned Parenthood thinks it can get away with anything. Let's pray that this gives them a reality check that they are not above the law. ﻿﻿I think you recall that Planned Parenthood and Benson High put out consent forms for students and consent forms for parents. The consent forms for parents were produced in English, Spanish, Russian and Vietnamese. A Vietnamese gentlemen saw my name on the Vietnamese consent form for parents. The form basically stated that I gave approval to Planned Parenthood and their program. The form was made for distribution on the first day of the program at Benson. I do not know the full intent of the school district and Planned Parenthood. It would appear they both agreed on using my name and that they knew that I would be in the class with Planned Parenthood visitors. I have enclosed the letter that was sent on Dec. 10, 2012 to PPS and PP. from Her Work Of Proclaiming The Gospel! 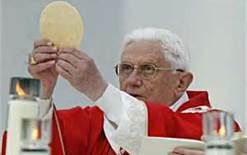 In light of the ever growing scandal of Catholic organizations providing funding to organizations that are in direct conflict with Church teaching, Pope Benedict has issued a Motu Proprio (letter). In his Motu Proprio, Pope Benedict makes it clear that he is not happy with the abuses involving some of the Catholic Church’s social justice organizations. The following are highlights of the Holy Father’s Motu Proprio concerning authentic charity. It is important, however, to keep in mind that “practical activity will always be insufficient, unless it visibly expresses a love for man, a love nourished by an encounter with Christ” (ibid., 34). In carrying out their charitable activity, therefore, the various Catholic organizations should not limit themselves merely to collecting and distributing funds, but should show special concern for individuals in need and exercise a valuable educational function within the Christian community, helping people to appreciate the importance of sharing, respect and love in the spirit of the Gospel of Christ. The Church’s charitable activity at all levels must avoid the risk of becoming just another form of organized social assistance (cf. ibid., 31). Nevertheless, to the extent that such activities are promoted by the Hierarchy itself, or are explicitly supported by the authority of the Church’s Pastors, there is a need to ensure that they are managed in conformity with the demands of the Church’s teaching and the intentions of the faithful, and that they likewise respect the legitimate norms laid down by civil authorities. In view of these requirements, it became necessary to establish in the Church’s law certain essential norms inspired by the general criteria of canonical discipline, which would make explicit in this sector of activity the legal responsibilities assumed by the various subjects involved, specifying in particular the position of authority and coordination belonging to the diocesan Bishop. At the same time, the norms in question need to be broad enough to embrace the significant diversity of the institutions of Catholic inspiration which are engaged as such in this sector, whether those originating from the Hierarchy or those born of the direct initiative of the faithful, received and encouraged by the local Pastors. While it was necessary to lay down norms in this regard, there was also a need to consider the requirements of justice and the responsibility of Bishops before the faithful, with respect for the legitimate autonomy of each institution. The diocesan Bishop (cf. canon 134 § 3 CIC and canon 987 CCEO) exercises his proper pastoral solicitude for the service of charity in the particular Church entrusted to him as its Pastor, guide and the one primarily responsible for that service. 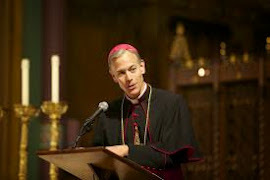 The diocesan Bishop encourages and supports the initiatives and works of service to neighbor in his particular Church, and encourages in the faithful the spirit of practical charity as an expression of the Christian life and sharing in the mission of the Church, as indicated in canons 215 and 222 CIC and 25 and 18 CCEO. It is the responsibility of the diocesan Bishop to ensure that in the activities and management of these agencies the norms of the Church’s universal and particular law are respected, as well as the intentions of the faithful who made donations or bequests for these specific purposes (cf. canons 1300 CIC and 1044 CCEO). To ensure an evangelical witness in the service of charity, the diocesan Bishop is to take care that those who work in the Church’s charitable apostolate, along with due professional competence, give an example of Christian life and witness to a formation of heart which testifies to a faith working through charity. To this end, he is also to provide for their theological and pastoral formation, through specific curricula agreed upon by the officers of various agencies and through suitable aids to the spiritual life. It is the duty of the diocesan Bishop and the respective parish priests to see that in this area the faithful are not led into error or misunderstanding; hence they are to prevent publicity being given through parish or diocesan structures to initiatives which, while presenting themselves as charitable, propose choices or methods at odds with the Church’s teaching. To read the entire text from the Holy Father’s Motu Proprio, Click here. 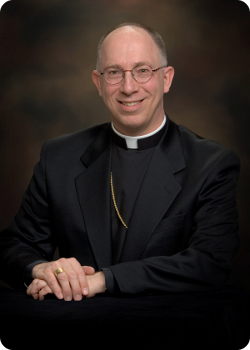 Gone Fishin': Archdiocese of Portland's Focus on CCHD. For decades the Archdiocese of Portland has encouraged and provided for the wants of the anti-Catholic programs during the year and especially in November when there is the Catholic Campaign for Human Development (CCHD) collections. This romance with pro-abortion organizations taking collection plate monies from faithful Catholics could be considered criminal, since all facts are known. They know what they're doing and are accountable. There is no way to stop those employed by Catholics except to fire them for dereliction of duty. 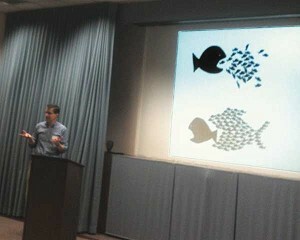 Matt Cato explains the power of collective action. One in six Americans lives in poverty. For children, it's almost one in four. That was one of the sobering messages at an evening sponsored last month by the Archdiocese of Portland's Office of Life, Justice and Peace. The event — called “An Evening of Solidarity and Empowerment” — highlighted community organizations funded by the Catholic Campaign for Human Development, the U.S. church's anti-poverty effort. In the U.S., the officially poor are those who earn less than the federal government's income threshold — $22,314 for a family of four. That includes people working at minimum wage, even holding down several jobs, and seniors living on fixed incomes. Also in the category are wage earners suddenly out of work. It all adds up to millions of families in both cities and rural communities. "Living in poverty means one impossible choice after another — between food and medicine, getting to work or paying the heating bill, covering the rent or daycare for your children," says Matt Cato, director of the office. Cato says the CCHD funds community organizations that support self-sufficiency, improve communities and encourage independence. It's all meant to help break the cycle of poverty and help people move themselves out of poverty. A collection for the fund is set for Catholic parishes the weekend of Nov. 17-18. The evening at the archdiocese's pastoral center highlighted the call of being in solidarity with those who are economically disadvantaged. Speakers encouraged individuals to volunteer with an organization that moves them. Participating organizations included Community Alliance of Tenants, New City Initiative, Ecumenical Ministry of Oregon’s Interfaith Food and Farm Partnerships, VOZ, and Hacienda Community Development Corporation. CCHD, a program of the U.S. Catholic bishops, calls on Catholics to pursue justice by challenging unjust systems. Charitable works and human services, while necessary, help the poor survive within the system. 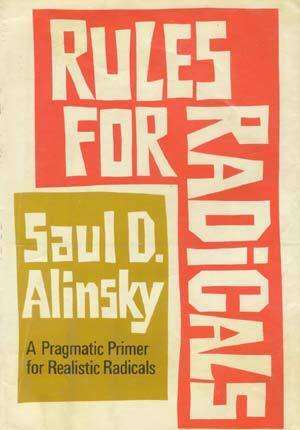 Community development organizations, by contrast, work to change the system. Economic development organizations work to create alternatives to the system. The evening began with an overview of the CCHD grant program. It's structured to invest in the development of people in poverty. Projects seek to eliminate root causes of poverty, enact institutional change, produce assets, boost wealth or create jobs. Projects receiving grants must benefit those in poverty and involve them in decision making. "CCHD is concerned about the growth, development, and dignity of the individual person as well as the collective strengthening of the low-income community," Cato says. "Skills building and training increases the skills of individual low-income leaders as persons. This is empowering." The evening’s conversation turned to relationships, and how it is through relationships that individuals can create a just society. Cato says the Catholic Church gives the grants because of who Catholics are, not because of who the organizations are. But CCHD does require that organizations avoid participation in and promotion of activities that contradict the moral and social teachings of the Catholic Church. Cato knows CCHD can't fund every deserving community organization. He urged parishioners to give year-round support. "Solidarity with our brothers and sisters and empowering those in poverty does not fit into one evening a year," he says. "Solidarity and empowerment is a life-long journey." Operation Holy Night for Our Precious Infants: Success ! I cannot thank all of you enough who came last week to the board meeting. We had over 200 people and we filled the auditorium and a great deal of the surrounding area. We will probably meet again in the future and there is room for 1000. Don't be shy and be ready to come and stand for life and purity. A special thanks to the speakers; they were tremendous, One speaker came straight from the airport, another barely got across the river, but they all made it. I gave a message of healing. I could tell that one board member really seem to have an old injury on her heart. She was quoted in the Oregonian as saying the program is fine. Please, please pray for her. I so want to thank all of you again and again for your prayers and for your time last Monday. Please continue to pray. There was another hearing last week and one this week at school. I have been directed to not work on multiplication tables with the students in my math class. Please pray for a miracle of how I can accomplish this without teaching it. This directive is so sad because when children learn to multiply it makes such a difference. Please continue to pray for all those helping me, my lawyer James Leuenberger, my union representative, Kathi Koenig and a few other lawyers working in the background. Kathi did ask that people do not contact her. My lawyer specifically asked for prayers and he really appreciates all of you. He is a fine man of faith and so supportive of me both legally and emotionally.